Patrik Lindström Futurepop For every 100 synthpop/futurepop bands out there, I would say that one of them are truly great, 10 might be good and the rest of them is average or even worse. German Twilight-Images goes straight into the later bunch. "Why?! ", you ask, while poking me in the chest. Hang on and I will explain it to you. Even though the band calls themselves Dark Electro as well as Futurepop, I would toss them straight into the Futurepop category myself. And in the futurepop (and synthpop) genre, the most important thing is the vocals. If you don't have great, or even good, vocals, you are pretty much fucked. 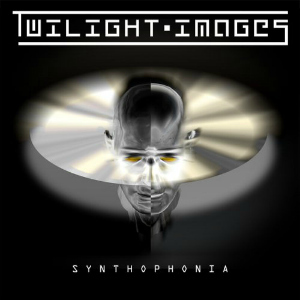 And since Twilight-Images' vocals are plain, off key and all in all straight boring. A band might compensate poor vocals with some truly amazing music, however, here there's nothing special either. Sure, the music is good enough, but I've heard the sound and melodies so many times before, the whole 'Synthophonia' album falls pretty flat. If you want to pull out some of the better work on this album, I would recommend "The Past Has Just Begun" that has a pretty nice flowing chorus, and perhaps the harder "Achtung Gefahrenstelle". For every 100 synthpop/futurepop bands out there, I would say that one of them are truly great, 10 might be good and the rest of them is average or even worse. German Twilight-Images goes straight into the later bunch. Nevertheless, I still have a hard time recommending this if you are not in desperate need of checking out something new, as new as anything can be for a band that has been around for a decade.